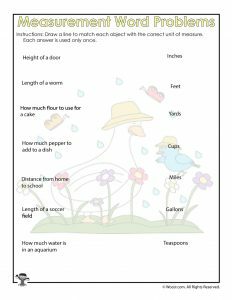 Here’s the latest addition to our printable word problem math worksheets – just in time for Spring! 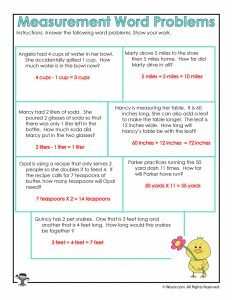 Included are six worksheets teaching students all about measuring and measurements. 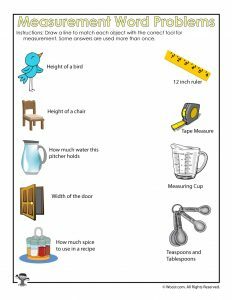 Topics of how to measure, understanding units of measure, and converting units of measurement are all included. 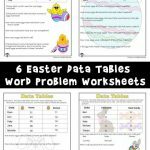 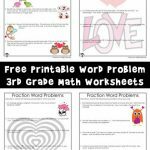 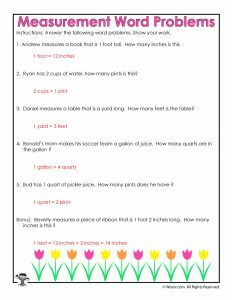 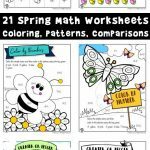 These spring math word problem worksheets are for 3rd grade students, and correlate with the Common Core guidelines for a 3rd grade curriculum timeline for the school year. 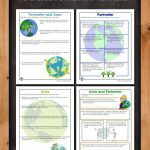 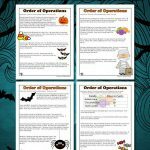 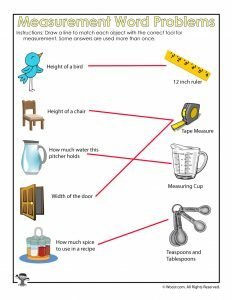 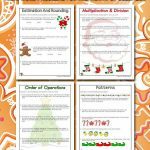 But, of course, these printables will teach students about measuring no matter what time of year you cover the topic. 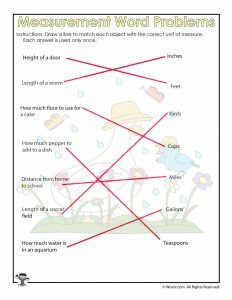 Some of the worksheets are simple enough for a filler activity – all the students need to do is draw a line between the corresponding items. 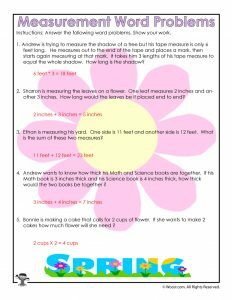 Some are more challenging and can be used for homework or in class. 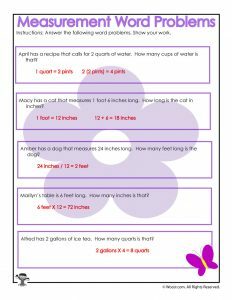 Answer keys, as always, are included!